Hello there world! In this episode we will be talking all about facial feminization surgery.Enjoy my SPECIAL Guest Star Appearance from Ms.Lilia on behalf of www.facialteam.eu. As we interview her all about the process,recovery time,emotional changes coming from FFS and much much more! Make sure you tune into Entransed With Bambie Every Thursday 11AM EST! For those who don’t know, explain exactly what FFS is? 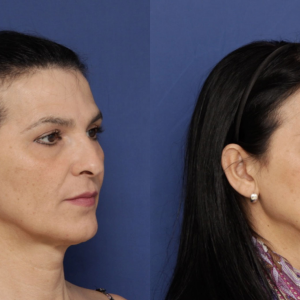 FACIAL FEMINIZATION IS A COMBINATION OF PROCEDURES, BOTH MAXILLOFACIAL AND PLASTIC WHICH AIMS TO FEMINIZE THE FACIAL APPEARANCE, PARTING FROM LATEST THEORIES ON FACIAL GENDER. What is the process toward finding out if FFS is right for you? OBTAIN PERSONAL CONSULTATIONS WITH MANY SURGEONS. TALK WITH FFS PATIENTS. TALK WITH YOUR TRANS SUPPORT GROUPS AND THERAPISTS. GET AS MUCH EDUCATION ABOUT THE SURGERY AS POSSIBLE. THEN ORGANIZE YOUR THOUGHTS AND FEELINGS, MAKING A PROS/CONS LIST TO HELP YOU DECIDE. What are the biggest dangers of the process? ALL SURGERY HAS ITS POTENTIAL COMPLICATIONS, AND THE MOST COMMON DISADVANTAGE IS HAVING TO DO A CORRECTIVE SURFGERY. WE AIM TO AVOID THIS WITH OUR INTENSIVE PRE-SURGICAL PROTOCOL, WHICH INCLUDES MANY CONSULTATIONS TO BE SURE EXPECTATIONS ARE REALISTIC AND FINALLY AN EXHAUSTIVE PRESURGICAL DIAGNOSTIC TESTING TO GET MEASUREMENTS DOWN TO THE MILIMETER. THE ADVANTAGE IS TO HAVE A RESOURCE TO HELP IN THE TRANSITIONAL PROCESS, THAT WILL ULTIMATELY HELP YOUR CONFIDENCE AND ENABLE YOU TO INTEGRATE SOCIALLY AS YOU WISH. When is the right time to explore FFS? WHEN YOU BEGIN TO TRANSITION. BUT WAIT 6 MONTHS AFTER STARTING HORMONES BEFORE HAVING THE FIRST EVALUAATIONS. What would prompt someone to want FFS? Is it for themselves or is it more just to fit into society? Is the process as much about readjusting your mind as it is your physical features? How traumatic emotionally is the change? WE ALWAYS RECOMMEND THERAPY BEFORE AND AFTER SURGERY. IT IS DEFINITELY EMOTIONALLY TRYING AND NEARLY ALL PATIENTS SUFFER A SORT OF EMOTIONAL CRISIS A FEW DAYS AFTER SURGERY, EVEN HAVING REGRETS. IT TAKES TIME TO ADJUST, AND ONLY DOING THE RIGHT SOUL SEARCHING YOURSELF OR THERAPY CAN HELP YOU BE PREPARED FOR THAT. What does your Facial Team offer that others don’t? We are primarily and exclusively focused on FFS, nothing else. 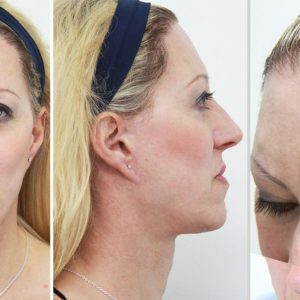 Technically speaking, as a team, we offer a higher level of specialization for each segment of the face: Maxillofacial, Plastic, Hair transplants. All within the frame of feminization. It is our passion, our world and we are proud to be hyper specialized. It is an honor to work with the transgender community. WE place great importance on patient care, before, during and after surgery. Before, we freely offer educational sessions and information to help you learn as much as possible about FFS. ONCE A PATIENT, YOU ARE ALWAYS PART OF THE FACIALTEAM FAMILY. Everyday we learn something new and grow with that. That is what makes us one of the best. We are continually improving and advancing, both technically and in terms of global patient care. In General, feedback is always glowing but it is important to learn from the small mistakes. 3 – 6 weeks before going back to desk work, then about a year before you can really see definitive results. What will you and your team be doing in March in New York? How can people contact you to find out more? We will be presenting at Keystone Conference in Harrisburg, offering free consultations with Virtual FFS simulation. Then on Sunday, March 21st consultations and Live VFFS in NYC.